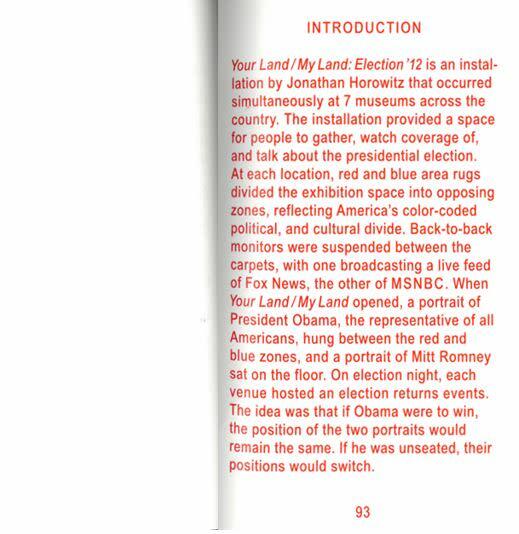 Your Land/My Land Election ’12 was an installation by Jonathan Horowitz that occurred simultaneously at seven museums across the country. It was presented at the Contemporary Arts Museum Houston, Texas; the Hammer Museum, Los Angeles; the Contemporary Art Museum Raleigh, North Carolina; the New Museum, New York; the Telfair Museum, Savannah, Georgia; and the Utah Museum of Contemporary Art, Salt Lake City. 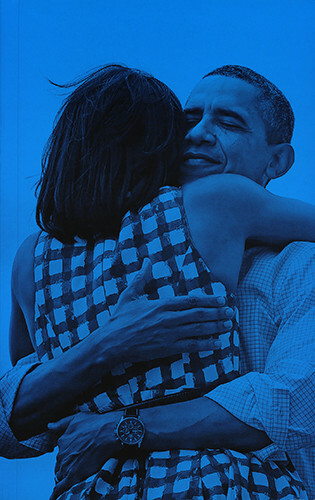 The installation provided a place for people to gather, watch coverage of, and talk about the presidential election. 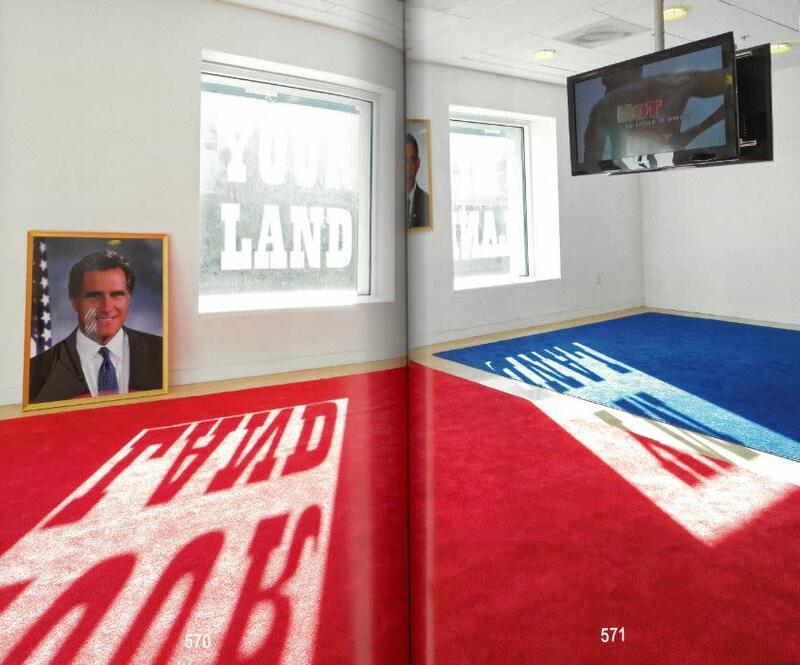 At each location, red and blue area rugs divide the exhibition space into opposing zones, reflecting America’s colour-coded, political, and cultural divide. Back-to-back monitors were suspended between he carpets, with one broadcasting a live feed of Fox News, the other of the MSNBC. 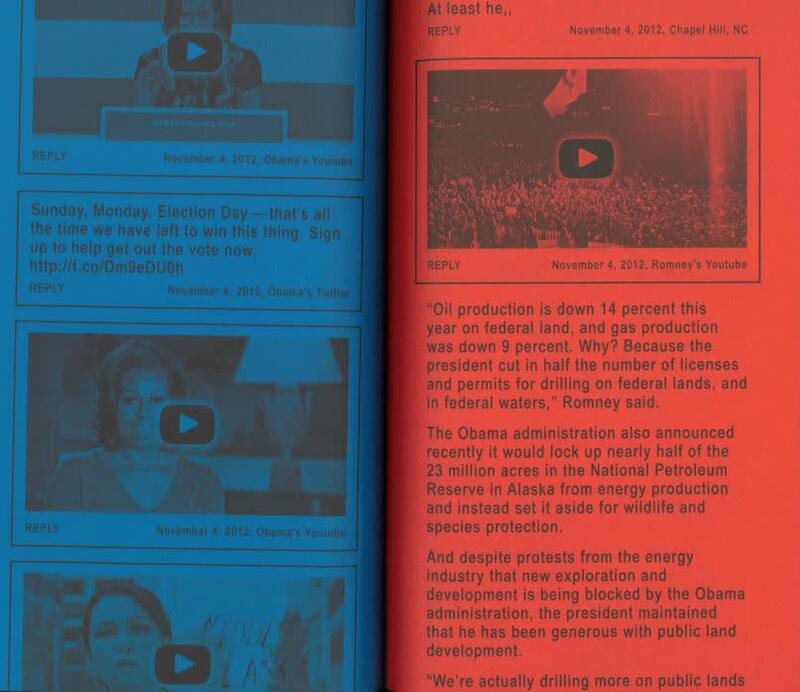 An additional component of the show was an interactive website that posted social media content from the Twitter, YouTube and Facebook feeds of both the Obama and Romney campaigns. Computers were stationed at each venue, allowing visitors to comment on these feeds, and the site was also accessible from outside the museums. 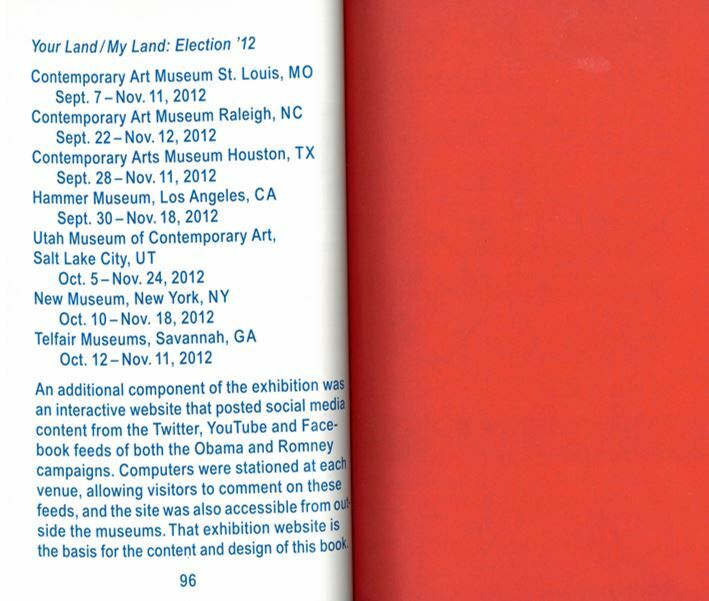 That exhibition website is the basis for the content and design of this publication. 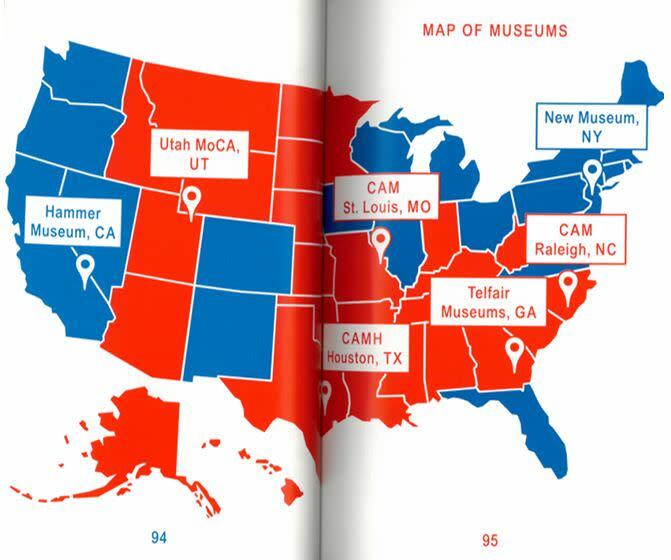 The publication also includes the text “Blues for America” by Jason Farago, and full colour documentation of the exhibition spaces.